The Puberty: The Wonder Years Grade 4 curriculum is the focus of this component of the Online Training Course. Unique instructional objectives include family and gender roles as well as communicating appreciation. Participants will also hold two grade-specific forum discussions with other participants. 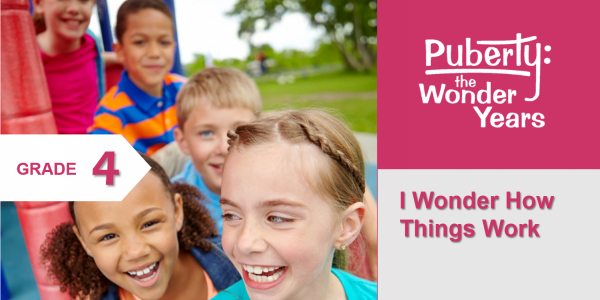 This is an add-on course module and requires purchase of Puberty: The Wonder Years online course. This part of the course, the Grade 4 Specific Online Course, includes the two modules that are grade-specific for grade 4. If you have already purchased a course bundle for grade 5 or 6, you may also add this grade-specific courses if you teach more than one grade level. The cost for this grade-specific course is $39.